My in-laws live next to a lake about 10 minutes away from Whistler Blackcomb, host mountains to the 2010 Winter Olympic Games in Whistler, B.C. Their little cabin overlooks the lake with both mountains tucked in behind. It is gorgeous here year-round, but it’s especially snowy and beautiful in winter. Every year for New Year’s Eve we come up and stay with the grandparents and play in the SNOW! 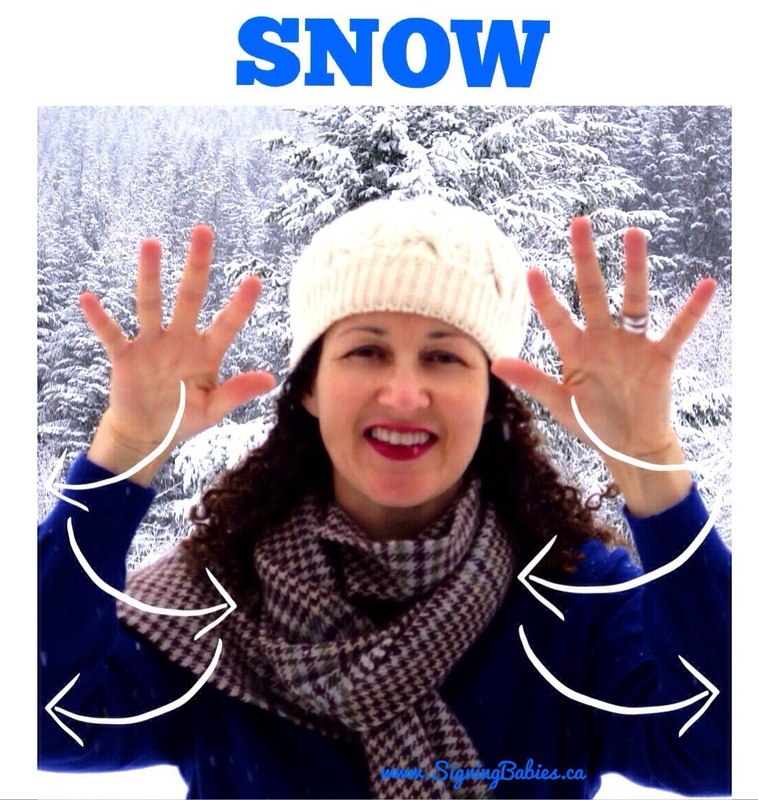 To sign SNOW in American Sign Language, hold your hands up in the air. Flutter your fingers as you move your hands down and side to side. We don’t get much SNOW where we live in Vancouver, so the 90 minute drive up to Whistler always excites us as we watch the terrain slowly morph from shades of brown and green in the city into a frozen wonderland in all shades of white. 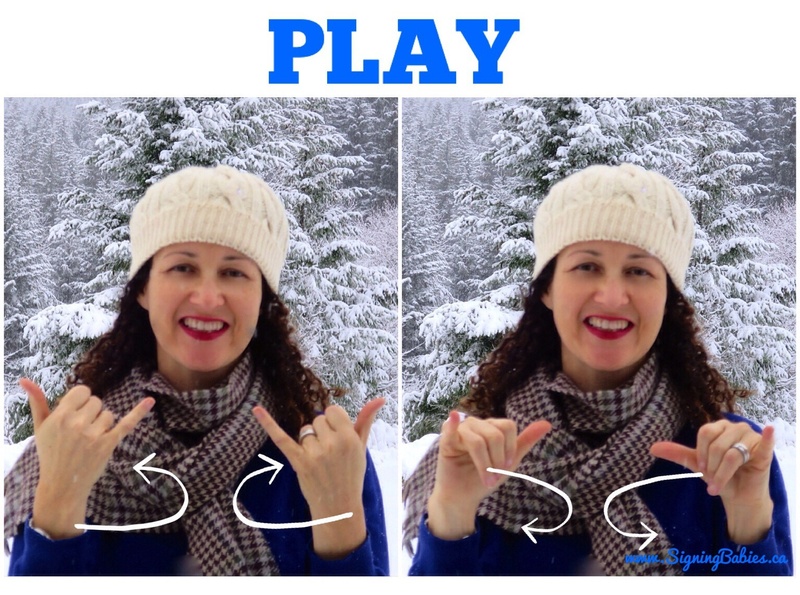 As soon as we arrived, I rushed outside while it was lightly snowing and took some photos so I could show you some snowy ASL signs! 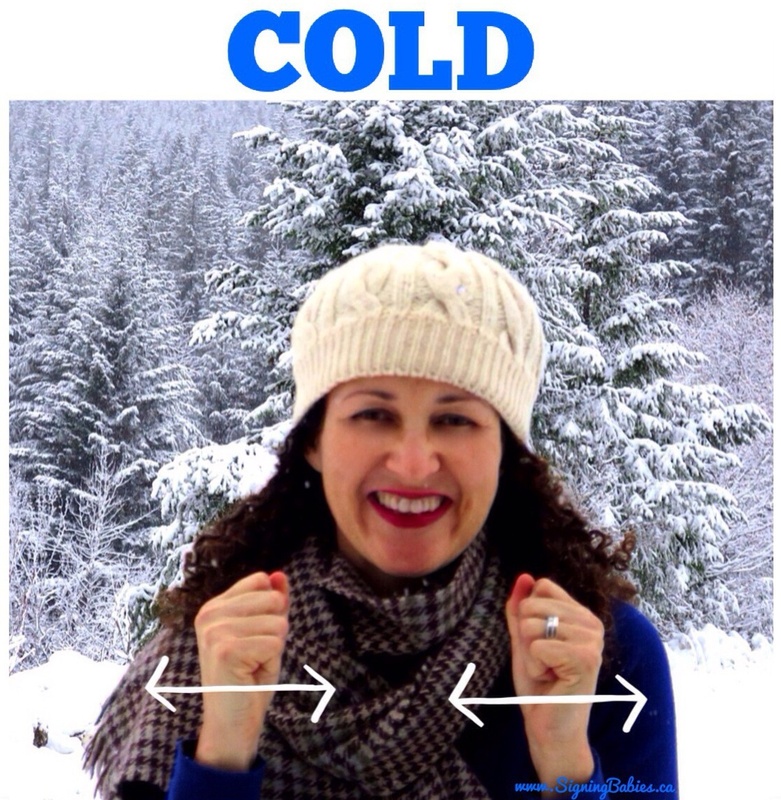 To sign COLD in American Sign Language, hold up both arms with closed fists, and shake them sideways like you’re shivering in the COLD. 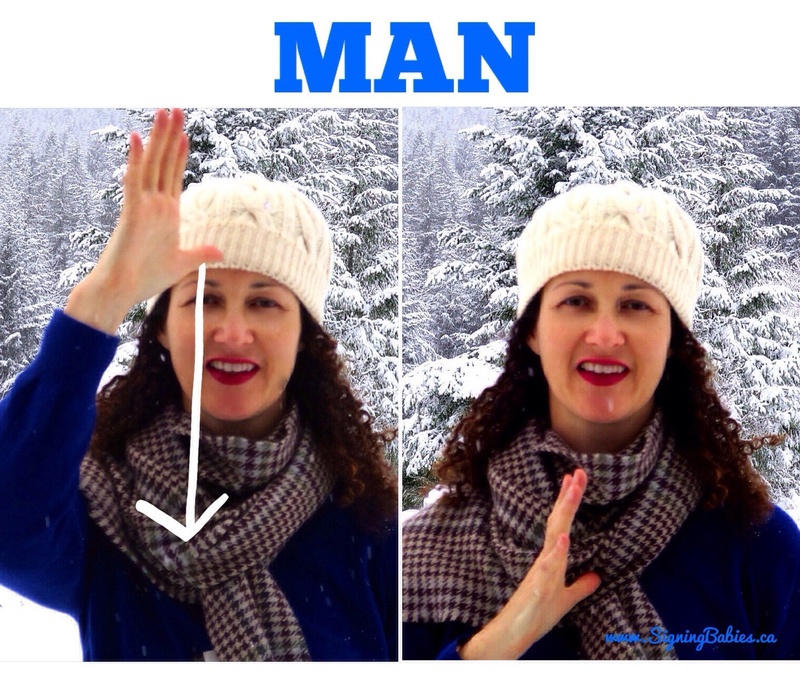 To sign SNOWMAN in American Sign Language, first sign SNOW, then MAN by tapping thumb once to your forehead and then bring thumb down to tap once on chest. A good PLAY in the snow always tuckers out my kids, hallelujah! 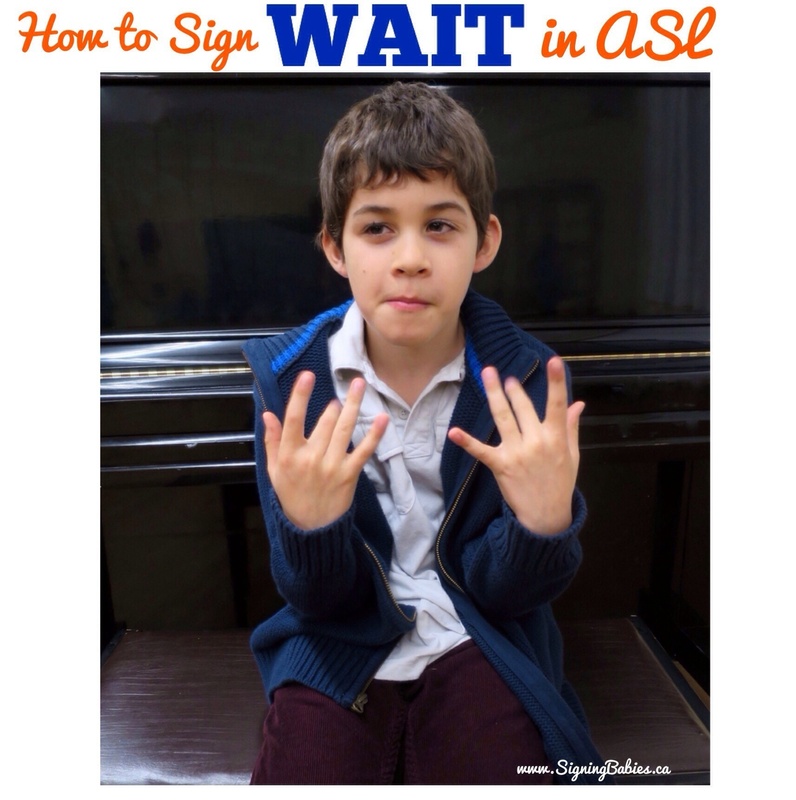 To sign PLAY in American Sign Language, twist both hands with pinkies and thumbs out (middle fingers stay tucked in). Of course, a steaming cup of HOT CHOCOLATE is always in order after playing in the snow, right? It’s almost the best part, and always a fitting ending to all that snowy fun. 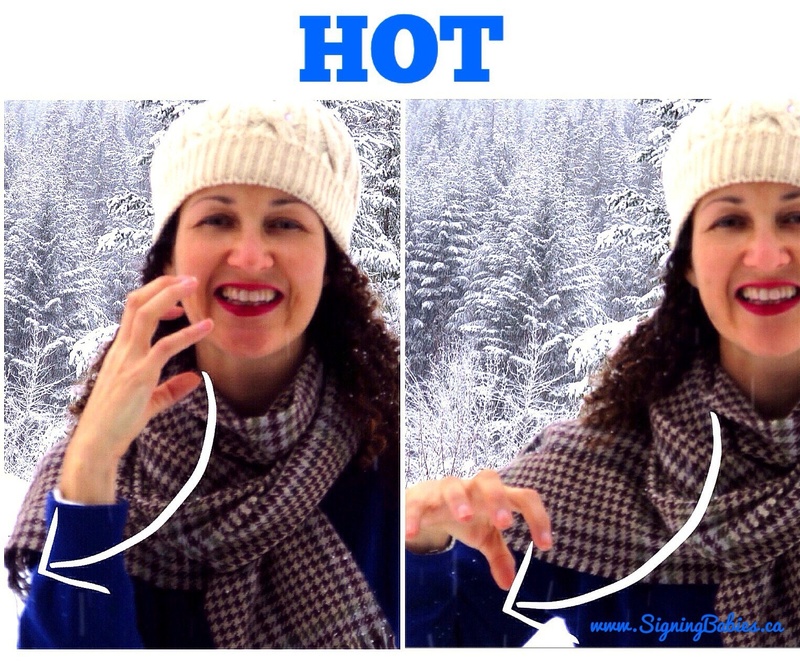 To sign HOT CHOCOLATE in American Sign Language, sign HOT by placing your open claw hand beside your mouth, then turn it away from your body (like it’s too hot to touch). 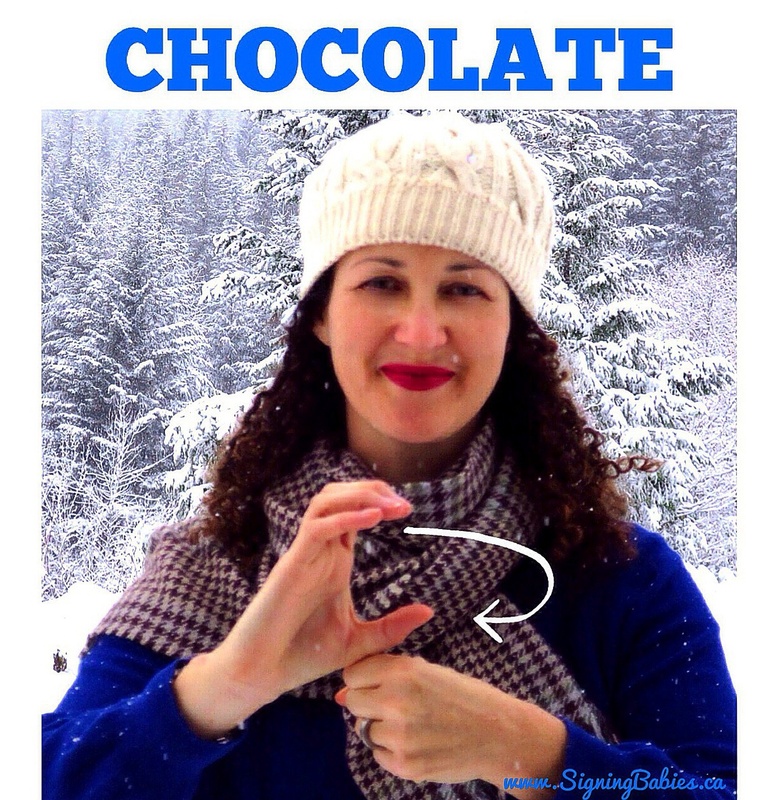 Then sign CHOCOLATE by circling your ‘C’ hand on top of your other hand in a closed fist. *Okay, so here’s my find of the year, brought to me by my Very Inspiring Friend, who first found these incredible Indoor Snowballs online here. She then showed me they carried them at a local dollar store near her house and I promptly bought two dozen snowballs to tuck into everyone’s stockings for Christmas. We had a huge snowball fight right after opening our presents and it was completely hilarious. The kids didn’t get tired of chucking snowballs at each other but they did get just as tired as playing outside. The adults had the biggest child-like grins on their faces as they pelted each other, too. 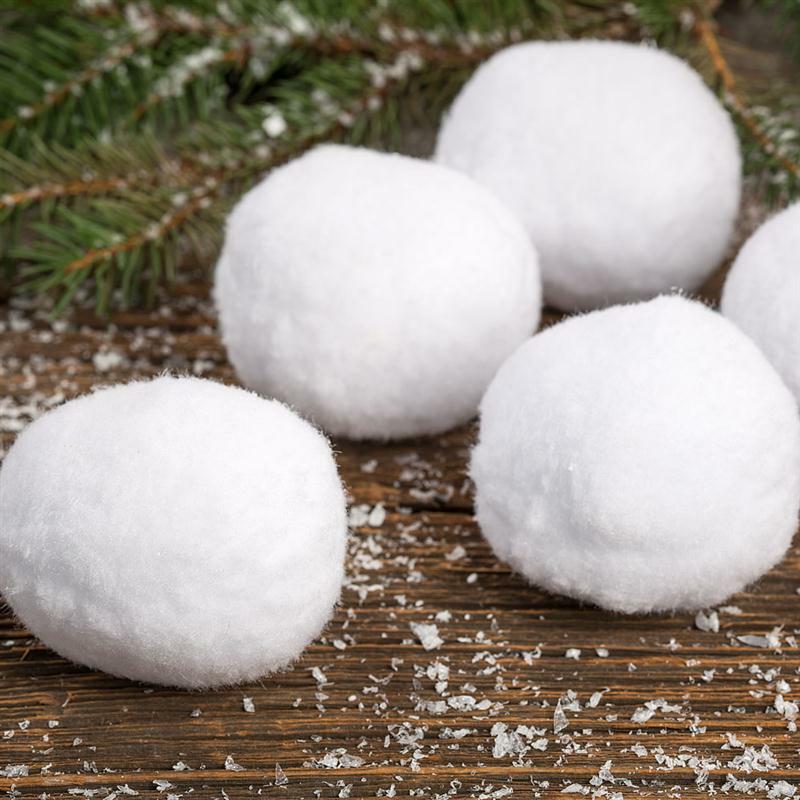 The snowballs are made of tightly bunched soft yarn so they aren’t likely to injure people or knock down things in your house. They’re incredibly realistic-looking and just plain fun to throw! 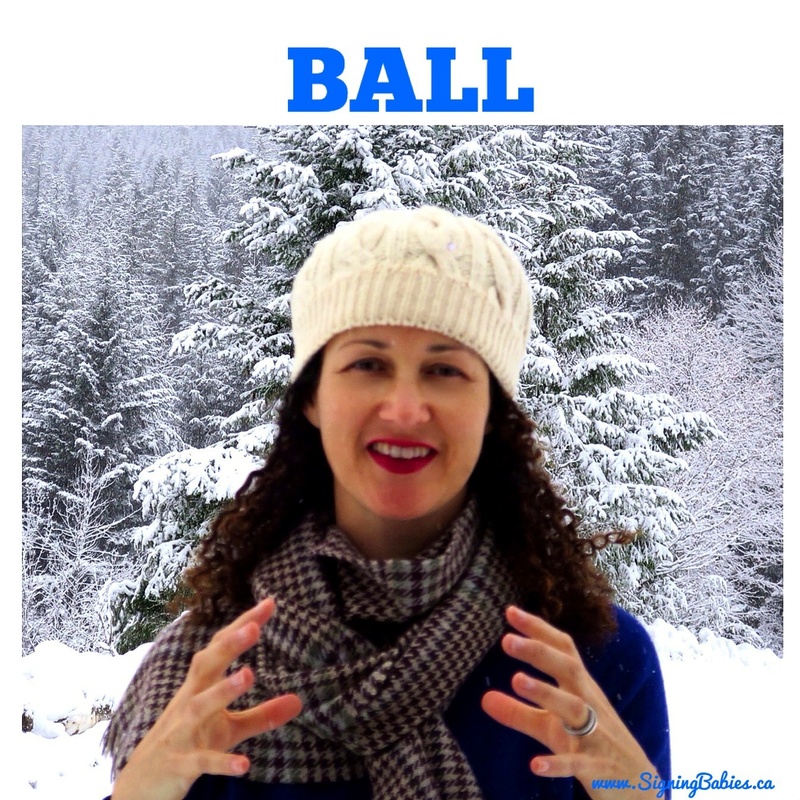 To sign BALL in American Sign Language, hold both open claw hands in front of you, like you are holding a BALL. 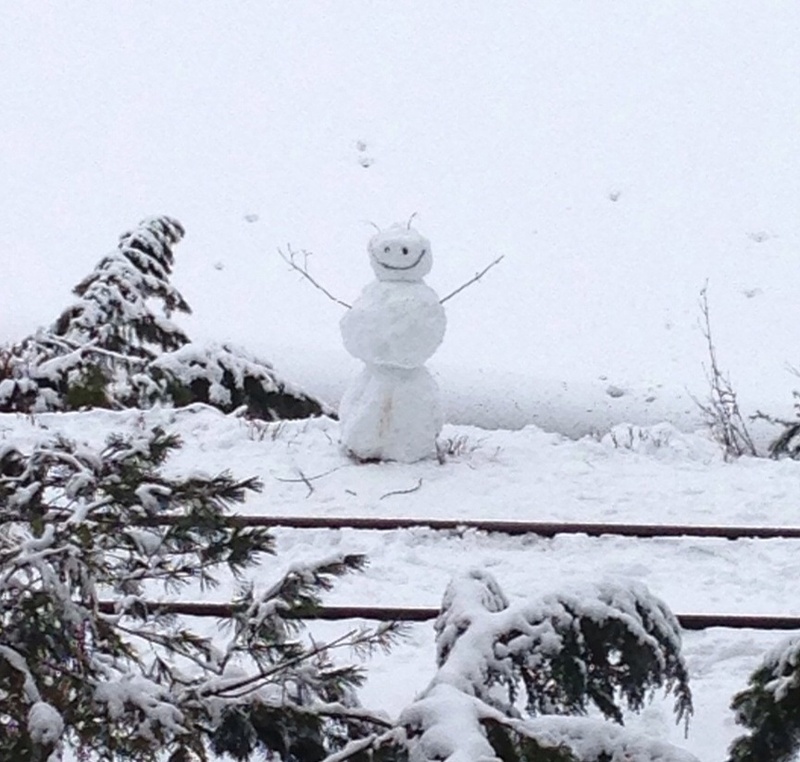 Are you having some fun this winter in the SNOW (inside or outside)?